A couple of days before our two week vacation to Jamaica in March/April 2011, from the UK, I came across Alrick’s web site and booked a couple of his trips. Despite the very late booking we had prompt emailed responses from Alrick confirming the dates, and on the first date Alrick turned up on time and we all hit it off immediately. Within a few minutes of getting into his car Alrick had connected Luke’s (our 17 year son), ipod to his car audio system, so became an instant hit with him. We booked an extra day, so in total Alrick looked after us for three days, and on each his local knowledge added to our enjoyment. Highlights included a detour to visit one of Alricks friends with whom he had caught a Barracuda, on a line, at the end his friends garden the night before. The magnificent specimen was being filleted when we called in. A sunset trip to the Pelican bar, at least a mile out in the Caribbean sea,by another friends boat was sublime. Another highlight was spent at the Bird Sanctuary, where totally wild hummingbirds perched on your finger to drink from a small bottle of sugar cane water. We did go on other trips with different companies whist there, but by far Alrick would be our first choice when we next visit Jamaica. During our first visit to Jamaica we wanted to see Jamaica outside of the resort and Alrick Allen – Your Jamaican Tour Guide was the right man for this job!! Through some research before visiting Jamaica and many prompt email responses I came across” Your Jamaican Tour Guide – Alrick Allen”. 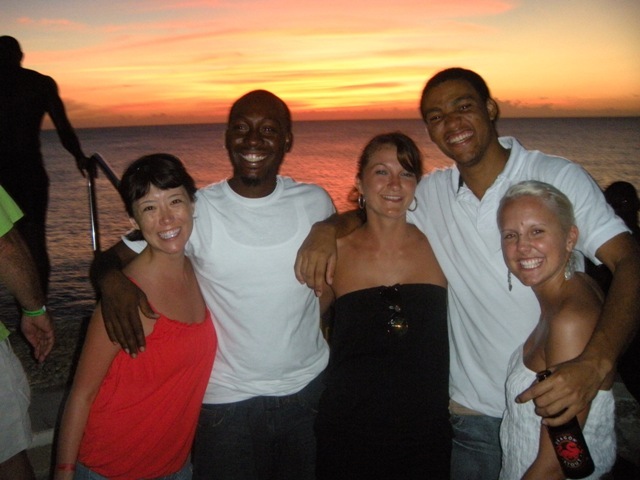 Alrick & the ladies are very quick with answers and accomodating in any way when planning my tours. The prices are very comparative with other companies and with the best “private” service!! The vehicles used for transportation are very well taken care of with the customers comfort in mind. We spent a wonderful, adventurous day (7:30AM – 8:00PM) with Alrick visiting the South Coast. “Our” South Coast Tour included YS Falls, Appleton Rum Factory, Black River Safari and Pelican Bar. While manuveuring through the winding, steep roads to the South Coast from Montego Bay we saw the real Jamaica. Alrick was a very cautious driver and we felt safe with him…even the goats on the roadside are safe!! lol We went to YS Falls which was so refreshing and scenic. The guides take great pictures and are very careful and patient at the falls. What a way to start the day!! Appleton Rum factory was the next stop. We had gotten there early before the tour from cruise ship began but we beat the rush…thanks to Alrick’s great idea to start out early in the morning before the crowds get at YS Falls & Appleton. We tasted the rum punch and sugar cane while waiting for the tour to start. The tour takes @45 minutes and is very interesting. We toured the inside and outside grounds of the factory and the taste test of 13 different rum samples…well not ALL 13!! The creme rum is so smooth and yummy!! We had lunch with Alrick along the roadside at a “takeout” which was a delicous Jamaican meal cooked outside. That’s authentic Jamaican chicken!! We drove on to “Black River Safari” for a informative ride up the river to see the crocs and mangroves. After the tour we got to see and hold a baby croc!!! After much discussion, as it had gotten a little breezy, we decided to head out to the Pelican Bar in the ocean. A local driver took us in his boat @15 minutes in the ocean to the most unique place (bar) on a sandbar. You have got to see this!! The local guys are there playing dominos and relaxing. Floyd, the owner, was very welcoming and friendly. You can swim around Pelican Bar as the water is @4 ft deep out there. We enjoyed the boatride back and the beautiful sunset as we arrived back to Black River. As darkness approached we again took the 2.5 hour drive back to Montego Bay through the winding, roller coaster roads. Even though we had a full day planned we never did feel rushed. Alrick always accompanied us to the sites and ensured that everything was ok with us. Everything is “no problem mon” in Jamaica!! Our second tour was to Negril with 6 of our friends. We had a blast with Romaine (driver) and Charles aka Alrick. Romaine is very friendly and informative. The tour guys are familiar with Lucea as this is their hometown. Charles stopped along the way and got us sugar cane for tasting, which was a very nice gesture. We had lunch at Jimmy Buffett’s Margaritaville at 7 Mile Beach. We relaxed on the beach for a few hours. The guys in the group tried out the seadoos for 30 minutes. The beach was busy there as it was “National Heroes Day” and everyone was out enjoying the holiday. The ocean was so refreshing after a 1.5 hour drive, which I must add was in a comfortable, air conditioned van. Romaine took us to a shopping area which was great for souvenir shopping, etc and it wasn’t aggressive there…good choice!! It was getting late in the day so we went to Rick’s Cafe to see the sunset, which was hiding behind the clouds but was still very beautiful. The party atmosphere was great here…music, people and everyone relaxing!! The cliff divers are amazing with the Lighthouse in the background…WOW!!!! Another great tour with Your Jamaican Tour guides!! Alrick, we would like to thank you for 2 great tours and taking the time to come along with us on the Negril Tour with such short notice…Yeah Mon!!! You have made our visit to Jamaica memorable and we’ve learned so much about Jamaica from time spent with you. YOU are the BEST Jamaican Tour Guide!!!!!! 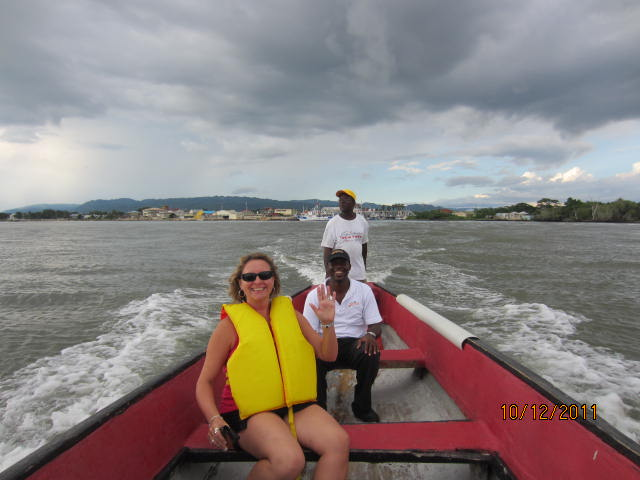 You MUST book a tour with “Your Jamaican Tour Guide”. I will definitely look you up when we return to Jamaica. Thanks for a great adventure!!!! Yeah Mon!!! Thank you so much for being such a great tour guide! My sister and I were planning a trip to Jamaica and we both love sightseeing. I did a lot of research before our trip which was June 20th for 7 days. I stumbled across YourJamaicanTourGuide.com and I am so glad I did. I had an idea of what sights I wanted to see and e-mailed Alrick. He was so kind and my e-mails were answered right away. His prices were so reasonable compared to what our package was offering through our travel package and other guides. I booked Alrick for 3 full days and he told me he would meet us at our resort with a sign on the day. By making plans in advance it was one less thing to worry about as this was our first trip to Jamaica. Well on our first day we went to meet Alrick but there was a different guy with a sign. Well Alrick had car issues and instead sent Ricardo (Kissan as he likes to be called). He was very kind and gracious. I didn’t mind as he made us feel so comfortable and guaranteed us an amazing day and boy he didn’t disappoint. I had the most amazing time and got much more than I asked for. We got to see the real Jamaica, places tour buses won’t take you. We drove into the mountains, had the most amazing Jerk chicken on the side of the road, tried coconut water and jelly…amazing!!!! Things happen in mysterious ways cause if Alrick didn’t have car trouble then we wouldn’t have had the pleasure in meeting Kissan who is full of SMILES and a true gentleman in every way making sure our vacation was memorable in every way…Our first tour day we went up into the mountains, I thought I died and went to heaven the scenery was breath taking it was so beautiful on our way to Appleton’s…Kissan stopped his car on the side of the road as we were heading up the mountain and picked us each a beautiful pink flower to put in out hair, a true gentleman. Then after Ric’s cafe we started to head back to our hotel in Montego bay we stopped at 7 mile beach in Negril one of the most amazing beaches in the world…Throughout or whole day and everyday we were with him Kissan was telling us so much history about Jamaica as we would be driving. Our trip to Jamaica would NOT have been what it was without Alrick of Your Jamiacan Tour Guide. Alrick is the most incredible guy who took us everywhere and anywhere we wanted to go. My husband and I recommend him highly. He is trustworthy and SOOOOO knowledgeable – you’ll feel like you’ve known him forever and he is your personal friend. Honestly, Alrick made our trip so amazing. His prices are fair and you will not be disappointed. He is attentive and accommodating and so communicative. Used Alrick for tour of 7 mile beach , schools ,Negril and Little Bay. I could not of asked for a better driver……or more knowledgable guide. I will be looking forward to using Alrick again and again and again…. My highest regards for this company ..including the condition of the vehicles used. This is the company to use–no mater the size of your party big or small–they will drive you there. Hi Charles, I just wanted to thank you for making our little outing a big success.Everyone had fun that day. You even made the time while navigating those ‘roads’ an adventure and a good time. Want to wish you much success. We saw recommendations for your jamaican tour guide on trip advisor so decide to email to find out more. We are so glad we did! We had a brilliant time out with Alrick, he is a real gentleman, with a fab sense of humour and we enjoyed his local knowledge and stories of his upbringing. He took us to Ys falls where we had the most amazing time, one of the best places we’ve been, Black river, Dolphin cove negril, a drive around Negril and Ricks Cafe. Along the way we stopped off for the ” best in the west” jerk chicken, a Jamaican fast food restaurant, a drink at a local shop (a lot more interesting than it sounds! ) , and a tour of Lucea where Alrick grew up, all of which we wouldn’t of done if we had gone on a reps tour. We feel like we’ve really got to know the real Jamaica, an amazing place if you bother to go outside the hotel. Our boys aged 11 and 19 had a fab time too, both felt like they had done and learnt so much more than most holidays they’ve been on, We tried to book another day whilst there but unfortunately for us Alrick was busy. We can’t wait to come back next year and will be booking Alrick for a few more days. Thanks for some amazing days out that will stay with us forever! My family of 6 just came back from the 7 days of cruise. Our first stop was Jamaican. Thanks everyone for giving us information on where to go and recommend of hiring a private driver. I think hiring a private driver is the way to go! We got to see the places we want and didn’t need to rush on anything.Our guide / driver is Alrick Allen. He is very nice and knowledgeable. We love the local foods he took us very much. My son said it’s the best chicken he had ever tasted. Alrick was not pushy or rush us into anything. My whole family had so much fun. Thanks Alrick! We’ve all enjoyed the trips very much and it made our holiday to Jamaica unforgettable, we’ve learned a lot about your country from you. Just wanted to let you know what a great time we had with Ricardo on the Negril tour. We’ll definitely be recommending your company to anybody we know that goes to Jamaica and want to thank you and Ricardo for such a good day out. If you’re looking to experience some of the real Jamaica, there’s no better way than getting a local tour guide to show you around, and Alrick is the most professional, knowledgeable, coolest guy you will find. I emailed Alrick months in advance to schedule some tours, and unlike other tour guides, Alrick replied quickly with an enthusiastic response. It was great to know so far in advance that we had a personal tour guide reserved to show us around Jamaica, and Alrick only exceeded our expectations. For a great price, Alrick took us to some of the hard-to-reach gems like the Blue Hole and Zimbali Farms, as well as the more popular attractions like Black River Safari and the Pelican Bar, while adding interesting bits of cultural information about the sights along the way and making pit-stops wherever we wanted. With Alrick, you get so much more for your dollar than with the mega-commercialized tour companies that the resorts advertize (JTL), which we also had the displeasure of experiencing. Next time, I’ll know better and book all of my tours and airport transfers with Alrick! I just wanted to send you a quick email to thank you for the tour of Montego Bay, Negril, Rose Hall and “Scotchies”! Judy and I had a great time with you and we are very glad that we found you and booked our tour of the area with you. We were very impressed with your services and would definitely recommend you to anyone looking to take a tour of Montego Bay or Negril. Thanks again, Alrick. We will look you up again, when we come back to Jamaica in the future. We were very happy with the countryside tour and airport transfer that Alrick Allen, of www.yourjamaicantourguide.com , provided us a month ago in Negril. Again very happy with Alrick’s service, he is friendly, felt very safe with him, (driving in his car, and he kept eye on you when wandering around sites), had fun with him, good conversations. Book with him. ja mon ! my wife and i cannot reiterate enough how ALRICK ALLEN (mon) is, not only, a true professional, but a kind soul, respectful (and respected), brilliant, etc., etc…once we return to Jamaica, we will definitely use YourJamaicanTourGuide as a preferred service. THANKS, again, ALRICK for all – you ‘da man, mon ! Alrick Allen did a great job for us. We hired him for a daytrip from Montego Bay to YS Falls, Appleton Rum Estate, and Floyd’s Pelican Bar. He offers customized trips so will take you wherever you’d like to go. His price was very reasonable and it was fixed ahead of time for the whole day. Apr 13, 2011, 2:29 PMOur family just got back from our first trip to Negril last week. On the advice of many TA posters, we split our time between the beach and the cliffs, and were very happy we did so. Spent the first four nights at Nirvana (see hotel review) and the second four nights at Citronella (see hotel review). …On the day of our transfer from the beach to the cliffs, we hired Alrick Allen (www.yourjamaicantourguide.com) to take us on a short tour outside of Negril, with a stop at the Blue Hole at Brighton. Alrick is a great guy – smart, informed, chatty, a careful driver, and lots of fun. Highly recommend him. The Blue Hole is a very cool little spot in the middle of nowhere – they have the natural hole (there’s a ladder to climb into it – and out, but we all did the jump… very fun!) as well as a man made swimming pool filled with the same water. A little bar serves drinks and plays music.Thanks to TA posters for all the advice, and to the Jamaicans we met for being such wonderful hosts! 2011/04/01 at 12:19 pmI wanted to tell Alrick how much we greatly appreciated all his guidance.Alrick was so quick to respond to my email regarding a ride from the Montego Bay Airport. He was standing outside with a sign that had my name on it. He scooped up our bags and took us to our resort in a heartbeat! He was great. So friendly and informative. He explained so many of the Jamician customs and culture as we drove along. Very sweet and so helpful. Rick is a very safe driver, also. His car is neat and clean. I was very impressed, pleased and lucky to have found a great guy like Rick. My kids adored him. He smiles and giggles and asks questions to get to know the children. I felt like we became instant firiends in our very short meeting. Please don’t go anywhere in Jamaica without Rick at your side. You deserve the best! He’s great. Can’t wait to go back. See you soon Rick. I just wanted to give mention to driver Alrick who runs the tour company Your Jamaican Tour Guide. We used him to drive us to and from the GPLH to a wedding in Negril. Not only was he a really awesome, friendly, interesting and informed guide, he was completely professional and CHEAP! He’s a young guy just starting out with his own car (a brand new slick white Toyota with ice cold air).He loves his country and it shows. He really was a highlight in our already amazing vacation. He even stopped at a patty place in Lucea so we could get lobster and shrimp patties and Red Stripes, breakfast of champions! HA!Even just take the time to look at his website www.yourjamaicantourguide.com it’s full of great tips and info! “I personally wanted to thank you for showing myself and my son around beautiful Negril. He really wanted to see what is was like as a “local” in Negril, and you showed him – and it is memories he will never forget…I think he sees you as the big brother he never had! Thanks again for making it such a memorable trip and please keep in touch, we will be back as soon as we can! “This was my second trip to Jamaica, the first time I went I honestly didn’t really know how to get around or what to do, so like all the other tourists, I just stayed at the resort and did the resort tours. Don’t get me wrong, they are not bad…they are just, well very “touristy”. I wanted to experience the “real” Jamaica, I wanted to stop on the side of the road and get a coconut. I wanted to walk in the market. I wanted to go pet the goats in the field…you know, stuff that you cant exactly ask a tour bus to stop and do. So, after expressing this, one of the resort staff suggested Alrick to take us around for a day. All I can say is that I saw Jamaica in a different way…a beautiful, refreshing way. We did everything that I wanted to do, we even stopped by his house to take the goats in for the night and his mom taught us how to cook curry chicken! My husband has already cooked it several times since we’ve been home. “Big Up! Yah Mon! Alrick you rock! A huge thank you for showing us around Negril. Someone asked me what my favorite part was about the trip…and it was hanging out with you and your friends. Although we visited all the tourist stuff like Ricks Cafe, my favorite places were the ones that were “off the beaten path” like the goat farm with the hammocks, that place was great! Oh, and the beach party at night – wow, beautiful..and the music was great! I felt extremely safe with Alrick, and to be honest if we were not with him, I would not have left the resort and I would have missed out on seeing all that Jamaica has to offer. Back from beautiful Jamaica and I wanted to write and tell you how much we enjoyed our personal tour with Michael Brown. Michael was very friendly and a great tour guide for the day. We appreciate being able to adjust our plans for the day and had more fun doing the Martha Brae rafting and Rose Hall Great House than I think we would have had at Mayfield Falls. I would highly recommend your company and Michael Brown to everyone. Thank You. 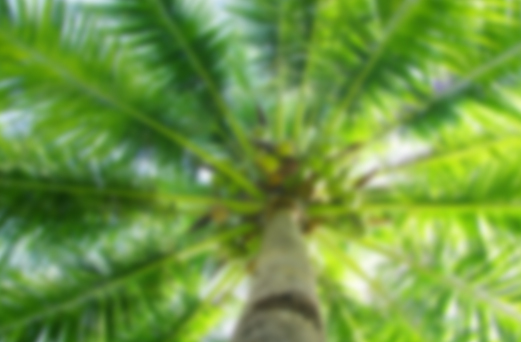 Sending you a huge Thank You for a perfect day trip to Negril. We had the best time with YOU and our friends from Regina. You added so much fun to a already great day. My only regret was not getting to meet your friend Stumpy (just joking).Loved Jamaica and loved the day spent with you. Hopefully we will be back in a year and will spend another day with you touring the other parts of your beautiful country. So nice meeting you . Take care! Just wanted to touch base and thank you for taking the time to arrange our two days out and about. Our days were wonderful and ..you,Alrick,are a wonderful person.Not only are you passionate about what you do but your knowledge of the areas we visited,your interest in the politics and history of Jamaica,your love of your country and your great sense of humor made our time spent with you so wonderful. Just want to say thank you for the private tour I had last week with you. Had a blast! Will do it again. Soon i hope. A big thank you to our wonderful Tour Guide, Kissan , for our trip to Mayfield Falls. He even took us to Juicy Patty which is now my favorite Patty place in Jamaica!!! Thank you so much Kissan, you were wonderful! Can’t wait to return and call you guys for another day trip!!!! Hoping to get the rest of the pictures sent to Alrick’s email soon. Recommending you to all of our friends! Thank you again for a great day! Great tour yesterday.Will highly recommend you! Thanks again,your the man! Had my first visit to Jamaica tour with Alrick yesterday. Good times Mon. You are the best! Alrick thank you so much for all you did for us. You are a great tour guide!!! You were very informative and we never felt rushed in fact we felt as if we were hanging out with a good friend. Thank you for making us feel so comfortable and safe we will definitely use your services again and recommend you!!!!! Alrick, we had a great time with you. Thanks for showing us around Negril. We will let you know the next time we will be in Jamaica, many blessings!!!! If you’re after a well-mannered, intelligent person, then Alrick is your man. We booked Alrick for the day and he looked after us thoroughly. We felt that we all came away enlightened about life in Jamaica. This is a must for all ages as he will cater for whatever experience you’re after – all you have to do is ask. Highly recommended as a guide and mentor. Thank you Leon, best day of our holiday! We have just returned from Jamaica and the highlight was the day we left our hotel (Secrets Montego Bay) to do a customised tour on 20th March 2015 with Your Jamaican Tour Guide. We were only visiting for a week and decided we would have just one day exploring – and we needed to make it count! Just a couple of days prior to the trip, I emailed Alrick whilst in Jamaica, after a friend at our hotel had highly recommended them. Alrick gave me options and we decided to combine Dunn’s River Fall with 9 Mile and Bob Marley museum. We didn’t regret it. Our driver was Leon who was quite simply a really genuinely nice guy who seemed to know everyone. He drove very carefully and made us feel completely safe. I get travel sickness (even though I am an adult) and the roads to 9 mile were very windy. It was not a problem, car was very comfortable and I did not feel sick at all, plus Leon was happy to stop at any point, even though we didn’t need to. It was fascinating to see so much of the wonderful countryside and Leon was very knowledgeable and shared information in a very natural way and not part of a pre-rehearsed tour script. Leon timed it so that we avoided the crowds at both places. At the fall’s we didn’t need to hire a locker as we trusted Leon totally and we left our bags in the car as Leon was staying close by. Leon even had a waterproof case that we could borrow to put our camera into to take photo’s at the Fall’s. On the way back, we called in at local jerk chicken eatery and that was certainly the best tasting meal we had all holiday. We then stopped off very briefly for some shopping and to stretch our legs, no hard sell, just a chance for us to look outside of the hotel if we cared to. If we had any more time, I would have booked another trip with Leon but that will have to wait until next time; and there will be a next time. Leon is a special person, we got along great and both my wife and I found him a real pleasure to spend time with, in a very easy-going, genuine way. The trip was reasonably priced and in fact slightly less that if we have booked on a coach tour from our hotel. Entrance to museum was $20US each plus same at Dunn’s river. Don’t hesitate, there are lots of tour guides to choose from, but my recommendation would be to use Alrick and Leon, you will not be disappointed. Thank you Leon for being an amazing tour guide. My husband and I have been to Montego Bay many times however this time we were a party of six with my daughter and her family joining us on our cruise. Transporting six can add up so we decided to hire a driver for the day. 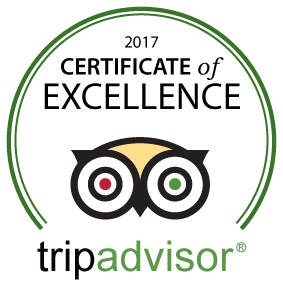 I reserved with Your Jamaican Tour Guide based on he excellent reviews on Tripadvisor and was so happy with the service we received.My initial email was answered right away and Alrick and I emailed back and forth to finalize our plans. He emailed me instructions on how to meet our driver upon arriving at the Cruise Terminal and this is the only little bump we experienced all day. We were to ask the information staff to call the driver since they aren’t allowed to come in to the terminal area until their customers are there for pick up. The information staff told us to ask one of the dispatchers outside and they would call for us. Upon asking they told us to go back inside and have the information people do that. I explained they sent us outside and the dispatcher just shrugged her shoulders and walked away. I finally hooked up with a gentleman who called the driver and let us know when he was approaching.Leon was our driver for the day. He is wonderful!!! He shared alot of information about Jamaica and their culture/lifestyle. Leon dropped us off at Doctor’s Cave for a few hours followed by a short tour and then lunch at Jerkys. We were driven in a comfortable, clean and air-conditioned van.Next time we are in Jamaica we will use Your Jamaican Tour Guide and head to Negril for the day!! Look out Leon we will be back soon! Oh and don’t forget my grandson is moving there for college :-). 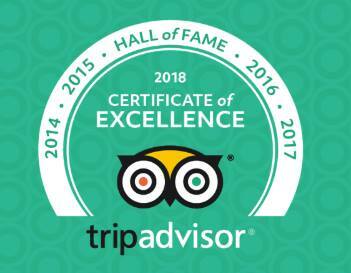 My husband and two children (boy 15 & girl 12) used this company for a number of tours we wanted to do when visiting Jamaica for our 2 week summer holiday/vacation. We chose the company based on Trip Advisor reviews, and these guys (Alrick, and Norbet, aka Stumpy, including Loretta at the office) really delivered. Having done some research on things we wanted to do, I emailed my wish list to Jamaican Tours. Loretta responded giving me options, adding some other suggestions, making the most of a day trip and the costs associated. We used them for our airport transfers; and here are the trips we did, with the exception of the Luminous Lagoon, all trips were day trips, we were collected at 8am and got back to the hotel anytime between 6 – 7pm. It was great to be able to leave all our personal belongings with Alrick or Stumpy while wading through the river and at the falls, or while screaming my way through the zip lining. Unfortunately I don’t remember the name of the two guys that looked after us at the zip line, they were both so pleasant and professional, and trust me I was scared!! Thanks to the individual and professional attention of Alrick and Stumpy, each of us had a wonderful experience and memories of Jamaica, (tasting a Jamaican cake (hell on the bottom, hell on top and heaven in the middle); stopping on the road and picking fruits and herbs, buying fruits and avocado on the side of the road. And yes we will certainly be back. My advice, get out of your all-inclusive hotel and experience this wonderful island, in safe hands, sharing lots of local insight, with Your Jamaican Tours. Just wanting to thank Your Jamaican Tour Guide for helping show us around the Island…our first day we had Leon…LOVED this guy! So chatty, curious, full of information about the history of Jamaica, showing us all the different spots along the way…and then the next tour we had Adrian…much more quiet but took us to some amazing spots…patiently waited while I bought some much needed tops at some shops he recommended and definitely provided us with the best meal of our trip by taking us to the Columbus Park and having them put together a quick fantastic meal of Jerk chicken, festival, rice and red stripe…while throwing bread into the ocean and watching thousands of fish, including barracuda dash to eat…favourite day of my trip! From booking to completion, this company made it so easy…the vehicles are immaculate…professional top to bottom…don’t look anywhere else, just book them! This is the second time we have booked with them instead of going on cruise lines tours. We prefer private tours. This company is very reasonable. Leon was such a joy and drove us all around to show us this area. It was fun to stop at a local restaurant rather than eating at a chain restaurant. I highly recommend this company. We had a 4 day trip and used Adrian every single day! He was incredible. We did a farm tour, Mayfield Falls, river tubing and airport transfers. Everything was so smooth and perfectly planned. It was our favorite vacation! Adrian was professional and fun at the same time! He was an excellent driver, tour guide, and quickly became a friend! He catered to us all day. Adrian made awesome suggestions on where to eat and even showed use local places we would never had known about. Lorette in the office was also quite helpful in planning out our tours ahead of time and taking care of payment! Looking forward to our next trip!!! We took 2 tours with Alrick. Both times he was on time(early) the vehicle was immaculate, and we had a great tour. We did the taste of Jamaica Tour, which was exactly what we were looking for, true Jamaican food. The second was the Negril highlights, also fantastic. I would not hesitate to recommend Alrick to anyone planning on travelling to Jamaica.